My name is Ryan and I like Surf Music. Took the baritone out for a paddle again this week. Still don't know if surfing a longboard is acceptable behaviour. Without Rdomain my computer would not charge and there could be no surf this week. This one is for you my brother. 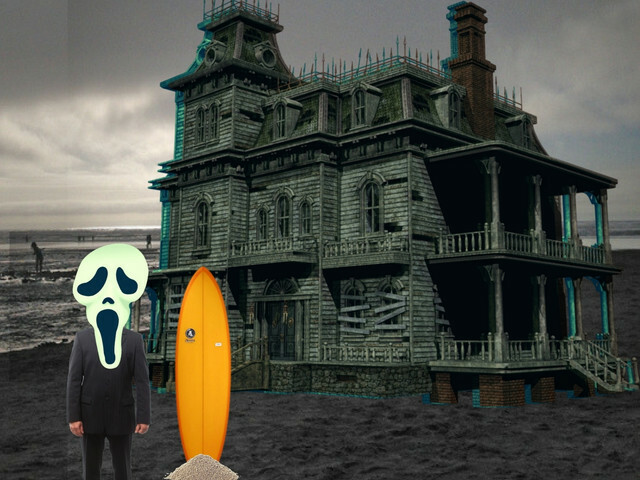 The surf vibe combines really well with the haunted house vibe. Killed it again. That bridge and organ is extremely well done with the minimal drums. Thanks! Organs always sound spooky to me. Thanks for mentioning the bridge, I was unsure how convincing it was. [quote=CosmicCairns]The surf vibe combines really well with the haunted house vibe. [img]http://theshrunkenheadlounge.com/images/Animated-Zombie-Reverse.gif[/img][/quote] Thanks! Organs always sound spooky to me. [quote=onlyjokinen]Killed it again. That bridge and organ is extremely well done with the minimal drums. [/quote] Thanks for mentioning the bridge, I was unsure how convincing it was. Longboards are the only one Scooby-Doo can surf. It's kind of a given. Agreed - the bridge is amazing! You know rdomain IRL? Wow! I love your surf music! You are inspiring me. Hopefully before the year is done! Agreed - the bridge is amazing! You know rdomain IRL? Wow! Love the creaky door breakdown I love your surf music! You are inspiring me. Hopefully before the year is done! Ha! Nice one. Thanks for listening! I used some tape saturation on the drums this week and I like the grit it gave them. I'll have to check that film out for sure. Yes, Rdomain and I have been friends a long time. We have played in a number of projects together. [quote=Gab Manette]A zombie's favorite organ might be the brain, but my favorite organ is the one you played in this song :)[/quote] Ha! Nice one. Thanks for listening! [quote=hieme]Lmao misclicked ^^^ Great as usual! Loving the more aggressive drums in this one! Was watching Surf's Up at my mate's house last night, and I think some of your tunes would fit perfectly in a film like that, lol. Keep it up my man <3 [/quote] I used some tape saturation on the drums this week and I like the grit it gave them. I'll have to check that film out for sure. [quote=orangedrink]Agreed - the bridge is amazing! You know rdomain IRL? Wow! Love the creaky door breakdown I love your surf music! You are inspiring me. Hopefully before the year is done! [/quote] Yes, Rdomain and I have been friends a long time. We have played in a number of projects together. [quote=Devieus]Longboards are the only one Scooby-Doo can surf. It's kind of a given. [/quote] [quote=Q-Rosh]supergood. [/quote] Thanks for listening! Damn that two chord opening riff hooked me instantly! Spooky bridge! The drums sound awesome too. TapeSat ftw! Haha, great stuff and thanks brah! Glad I could help. LOVE that breakdown near the end. Epic track.